Description - Shaw's Grand Summit laminate flooring beautifully replicates the look of natural hickory hardwood flooring. Easier to maintain than hard woof floors, laminate can be installed on any level of the home and never has to be refinished. At 78" long, the trendy and modern sizing helps to expand and add a length to any space. 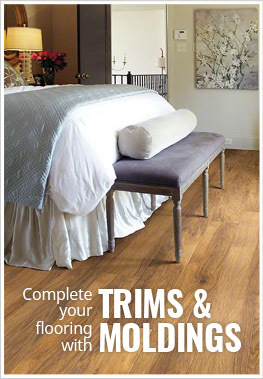 Size – 8" x 78.75"
Recommended Uses – Grand Summit laminate flooring has been successfully installed in a variety of high traffic areas of the home, such as family rooms, kitchens, bedrooms, walk-in closets, hallways, home offices, and more. I was looking for something that looks like hardwood, but on a smaller budget. We put these floors through my entire house and it came out just gorgeous! Light and airy - we get compliments on it all the time!